Finnish trio Permanent Clear Light formed in 2009 and have already made several contributions to Fruits de Mer releases. Now they’ve got a new 2-song single on FDM’s Regal Crabomophone sub-label, with one original song and a cover. Higher Than The Sun is the original and starts off with acoustic guitar, orchestration and spaced out alien affects. It’s a lovely pastoral folk-psych song with orchestral embellishment, a killer melodically ripping guitar solo, beautiful vocals singing of all things outside the Earth’s atmosphere, all surrounded by effects that sound like something from a Louis and Bebe Barron soundtrack. Sweeeeeet. One of the things I love about Fruits de Mer cover songs is the completely OFF the beaten path choices the bands make. 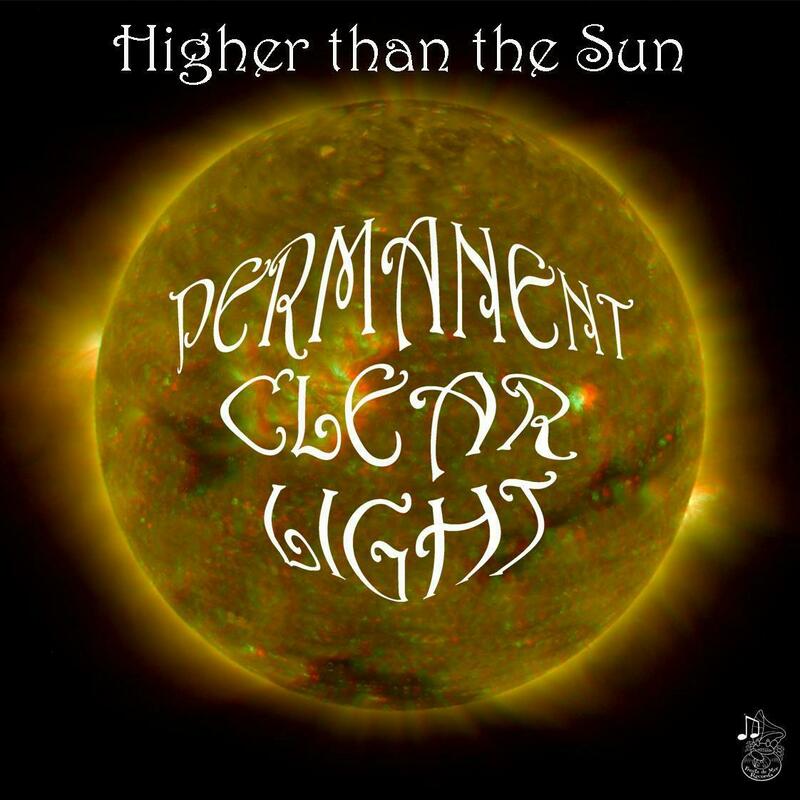 Permanent Clear Light take on Afterwards, the first track on the first Van der Graaf Generator album – The Aerosol Grey Machine – released in 1969. Though the phased organ on the original gives the song a slightly psychedelic edge, Permanent Clear Light inject mucho Kosmiche elements into their rendition, giving the music a mind-bending quality that takes it into a lusciously spaced out direction. I’ve been a VDGG fans for decades so this one resonated with me. The single will be available mid-October and is limited to 800 copies, and as usual this is vinyl ONLY, no CDs or downloads. If interested you better hurry because Fruits de Mer releases sell out QUICK! Oh, and it’s got a 3D cover and comes with 3D glasses. How’s that for nifty labor-of-love packaging?